Today I would like to introduce Renee Crowe as our guest blogger! 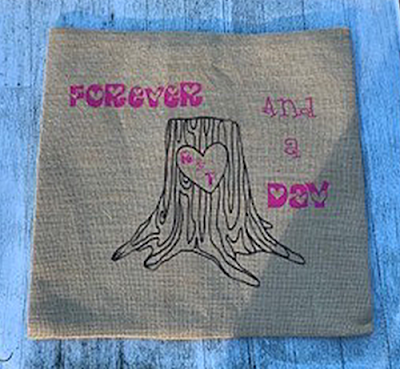 We are so pleased to have her show you how to use one of our burlap pillow covers and htv to fashion some seasonal Valentine's Day decor! 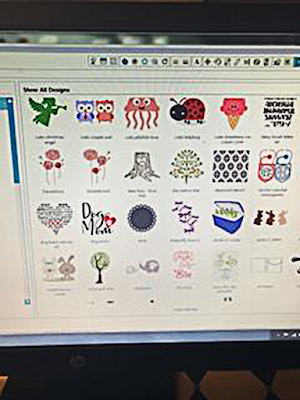 Ready to design my pillow cover, I went to the Silhouette Store. 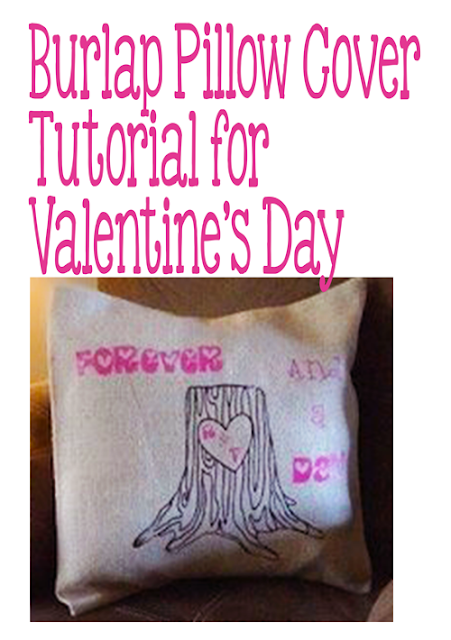 I selected the Tree Trunk with the heart for my Valentine's theme. 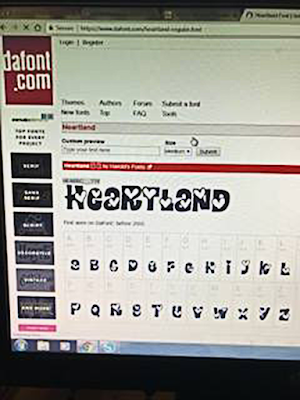 I wanted a font that had hearts in it, so I headed over to dafont.com. They have thousands of freeware/shareware fonts. So I searched and after choosing the Heartland font, I downloaded it to my computer. 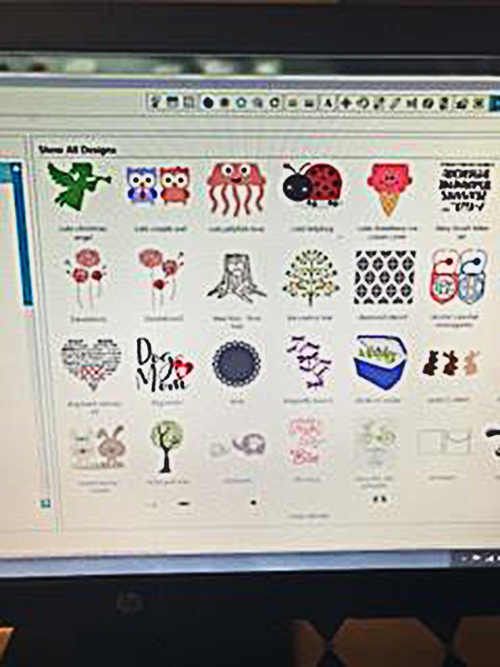 Now to start my design. I decided to do my tree trunk in brown htv and my words in glitter htv. I kept it simple using only two colors. My husband always tells me that he loves me forever and a day so I used that saying. I turned my heat press to 300 degrees and so it would be heating up. I cut my design from my vinyl (remember to always reverse the design when you are using HTV). After cutting my vinyl I arrange it on my pillow cover. 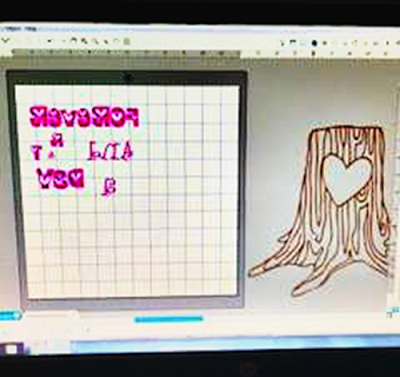 When using both glitter HTV and regular HTV remember they have different temperature setting so make sure you remember that when cutting. 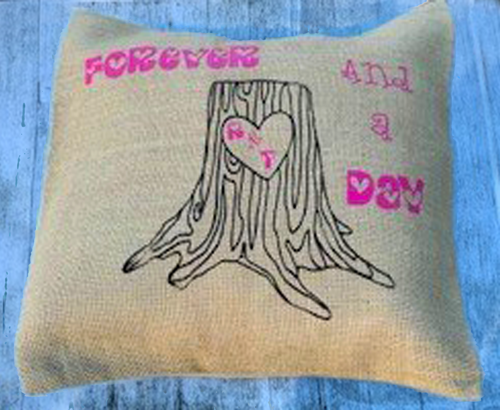 Personally I like to do my colors one at a time, so first I do my brown and then heat press my pink. 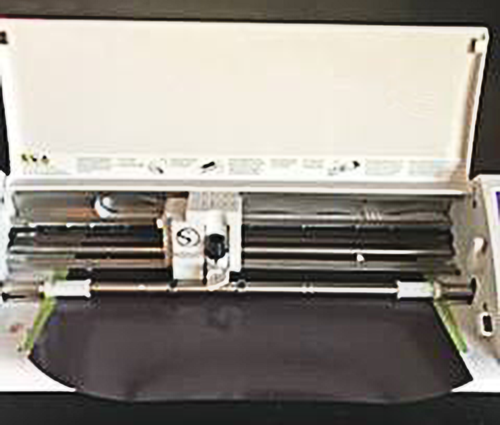 I use a Teflon sheet to cover my vinyl and heat press for fifteen seconds. 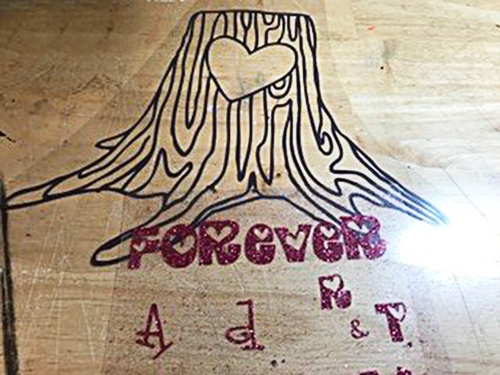 To place the vinyl. Repeat for the glitter words. Then follow the manufacturers' instructions to complete the press. 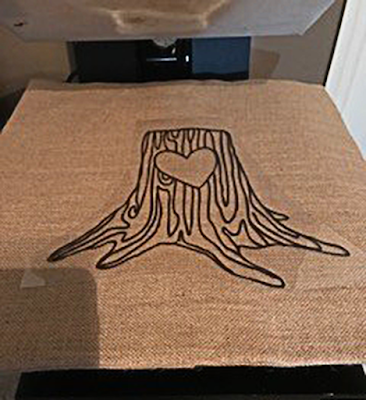 Craft Chameleon has a facebook group were all the members share tips and tricks for heat pressing on burlap. Join the group here and be sure to answer the questions to get in! 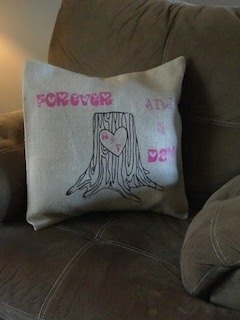 I use a pillow form for the inside of the pillow and now it is ready to use. Easy and cute décor for Valentine’s Day!